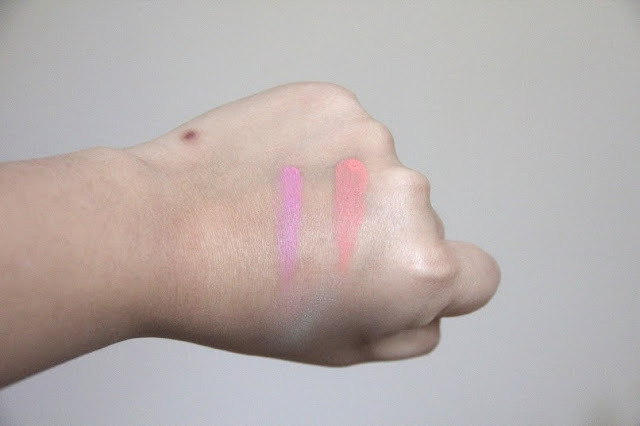 Cat at Heart by Tanya: Louise Gray for Topshop First Impressions + Swatches! Louise Gray for Topshop First Impressions + Swatches! Happy Friday everyone. First of all, I like to address my sadness over not being at Vogue's Fashion Night Out. From Miranda Kerr to Megan Washington, it must've definitely been a good night. So I shall quit my random ramble and go on with my post. "Get ready to dazzle with iridescence. From one of the most vibrant and innovative designers to ever grace the London fashion scene comes a fashion and make-up collection that doesn’t just sparkle, it shines with pure creativity. Featuring playful party dresses and sequin-embellished tees to shimmering glitter pots and fluoro eye-palettes, it’s time to pop your colour, Louise Gray style." 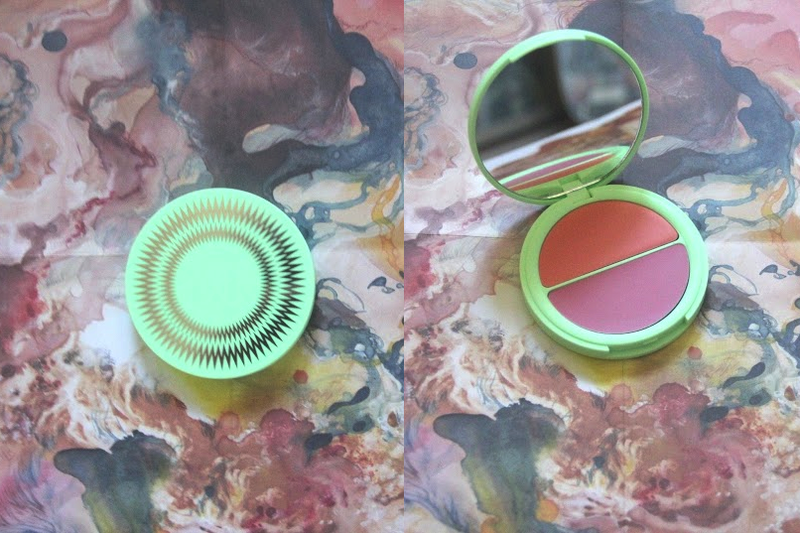 Being a newbie to Topshop makeup, I am utterly flabbergasted by their cream blushes, packaging and colours! When people started to feature the Louise Gray for Topshop collection on their blogs, I knew I had to get my hands on them as soon as possible. I was lucky enough to pick two products up when Topshop offered free shipping for two days! Hurrah and also since I ordered two products, it came with a free mirror so it was all extremely exciting. The packaging is the creme of the crop! I am most likely going to keep them in their cardboard boxes because they're just so cute! I am pleasantly surprised by the pigmentation of the cream blushes. I have not had the chance to wear them on my cheeks yet but I feel like this is going to be in my favourites soon. 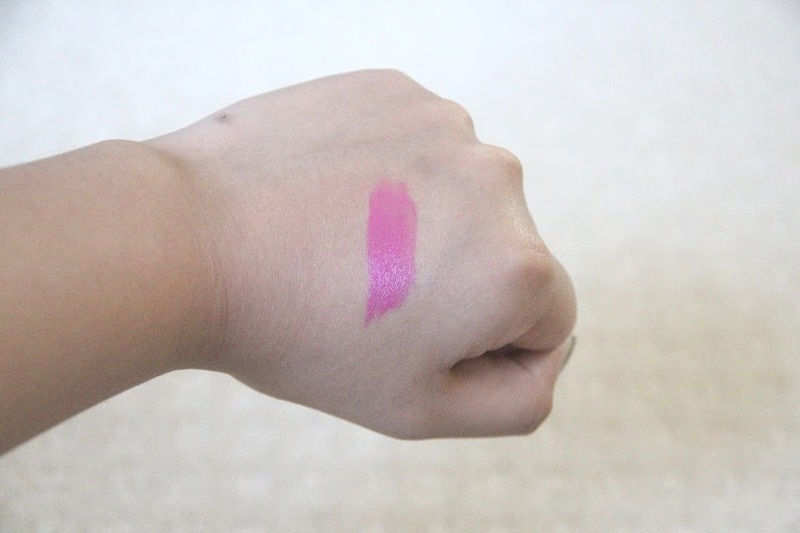 The lipstick is also the perfect fuchsia pink with a satin finish. 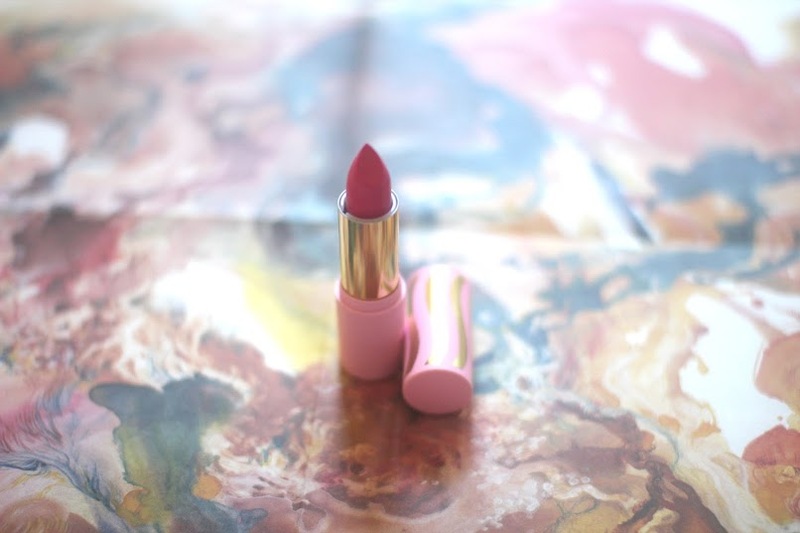 It is just all in all a wonderful lipstick with great texture, colour and finish. It looks lovely on and would be perfect for the upcoming Spring and Summer. 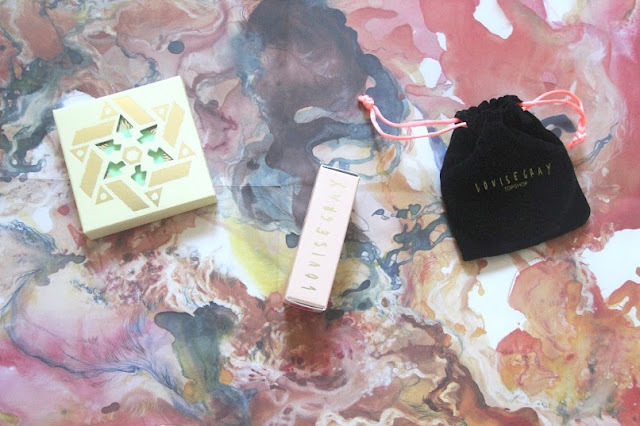 Love the packaging, that lipstick looks gorgeous! Oh wow, that lipstick looks sooo nice! hope the products last long. These look SOOOOOOOOO good. It sounds really superficial but half the reason i buy make up is for the beautiful packaging! And this range is obviously no exception. I would love to try topshop make up but living in New Zealand makes it super expensive which is such a shame. Love your blog - i am now following. These items are all so amazing! That shade of lipstick is absolutely gorgeous. I can't wait to buy Louise Gray's items for Topshop! this first lipstick is georg! What fab fun colours & packaging! that pink lipstick looks fabulous! I'm a makeup junkie - I'll have to check out TopShop. those lipstick colors look so cute! Nice! The lipstick looks lovely. That lipstick is amazing. I definitely want to try it out!